Taylor played all but one of his 10 seasons with the Packers, rushing for more than 1,000 yards for five consecutive seasons (1960-64) and leading the league with 1,474 yards and 19 touchdowns in 1962. Taylor was named the Associated Press MVP that season before leading Green Bay to its second consecutive NFL championship. Under legendary coach Vince Lombardi, Green Bay reached the NFL Championship Game six times from 1960 to 1967, winning five titles. Taylor was part of four NFL championship teams and the inaugural Super Bowl I winners. Taylor also became the first player from that Lombardi dynasty to be inducted into the Pro Football Hall of Fame in 1976. Taylor, who played his final season with the New Orleans Saints in 1967, retired from the game as the NFL's second career leading rusher. A second-round pick out of LSU in the 1958 NFL Draft, Taylor was named to the Pro Bowl five times. He held Green Bay's career rushing mark until it was broken by Ahman Green in 2006. Green also eclipsed Taylor's single-season mark with 1,883 yards in 2003. Taylor rushed for 8,207 yards and 81 touchdowns with the Packers. He also had 10 receiving scores during his nine seasons in Green Bay. Overall, Taylor finished his career with 8,597 yards rushing and 1,756 yards receiving on 225 catches while racking up 93 touchdowns in 132 games. -- The Cleveland Browns signed wide receiver Breshad Perriman to their active roster. The Browns need help at wide receiver after two injuries this week. Rashard Higgins is expected to be sidelined for two to four weeks with a knee injury and Derrick Willies broke his collarbone in Friday's practice and was placed on injured reserve. -- Washington Redskins cornerback Josh Norman was burned for a long touchdown pass in Monday night's loss in New Orleans, but that wasn't the reason he was benched to start the second half, according to one report. Norman was not on the field because he decided to tune out coach Jay Gruden at halftime, said Redskins pregame host Kevin Sheehan on his podcast on Friday. The high-priced cornerback put headphones on while Gruden was addressing the team during intermission, leading to his benching. Norman returned to the field after his replacement, rookie Greg Stroman, was beaten for a long touchdown pass on the Saints' opening drive of the second half. After the game, Gruden said he didn't anticipate any issues with Norman going forward. 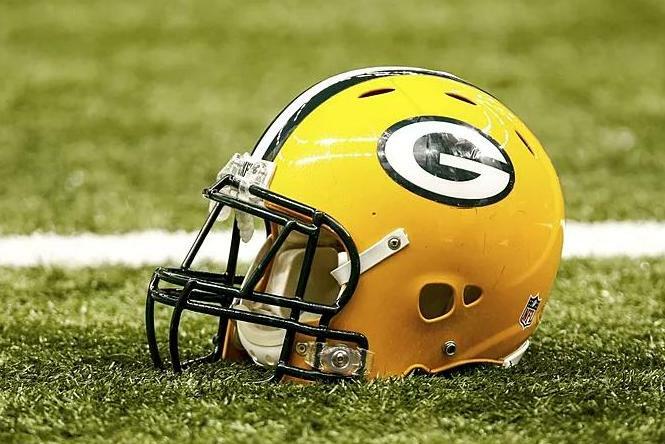 -- The Green Bay Packers still are unsure of the availability of wide receivers Randall Cobb and Geronimo Allison for Monday night's game against the visiting San Francisco 49ers. Packers coach Mike McCarthy said a decision on both players will not be made until pregame workouts on Monday night. Allison and Cobb were both limited participants in practice Thursday and Friday. Allison missed last week's loss at the Detroit Lions due to a concussion and hamstring injury. Cobb sat out the past two games with a hamstring injury. The team's best deep threat with 289 yards and two touchdowns on 19 catches, Allison was removed from the NFL's concussion protocol earlier this week. Allison had six receptions for 80 yards in a 22-0 win over Buffalo in Week 3. Cobb has 17 catches in three games, including nine for 142 yards and a score in the season-opening win over the Chicago Bears. -- The undefeated Los Angeles Rams will have wide receivers Cooper Kupp and Brandin Cooks in the lineup for Sunday's game at the Denver Broncos. Kupp and Cooks were each cleared from the NFL's concussion protocol, the team announced Saturday morning. Both players exited last week's 33-31 win over the Seattle Seahawks because of the concussions, but they were full participants in Friday's practice. Kupp was injured on a crossing play when he split two defenders and his head hit the turf. He had six catches for 90 yards before he was hurt, boosting his team-leading total to 30 receptions. Kupp also had a team-best five touchdown catches. Cooks, who was acquired in an offseason trade with the New England Patriots, was injured on a helmet-to-helmet hit by Seahawks safety Tedric Thompson.